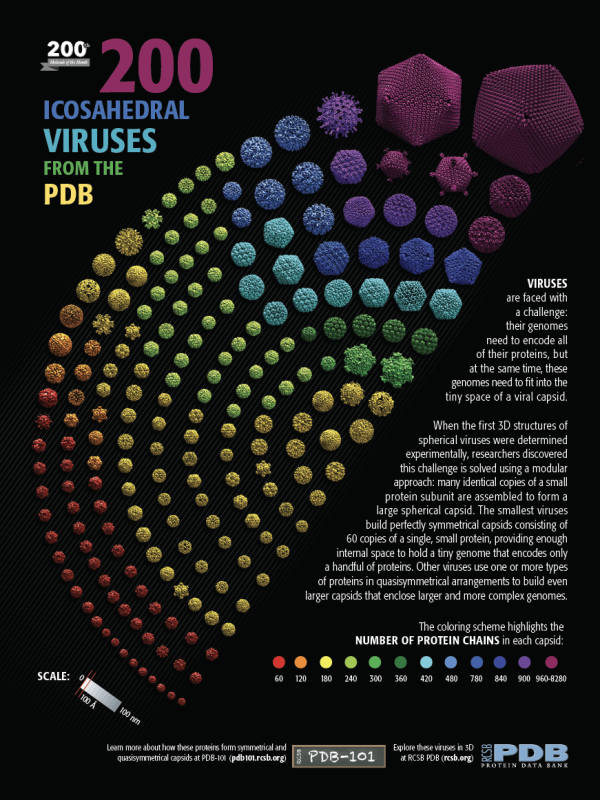 Viruses are faced with a challenge: their genomes need to encode all of their proteins, but at the same time, these genomes need to fit into the tiny space of a viral capsid. When the first 3D structures of spherical viruses were determined experimentally, researchers discovered this challenge is solved using a modular approach: many identical copies of a small protein subunit are assembled to form a large spherical capsid. The smallest viruses build perfectly symmetrical capsids consisting of 60 copies of a single, small protein, providing enough internal space to hold a tiny genome that encodes only a handful of proteins. 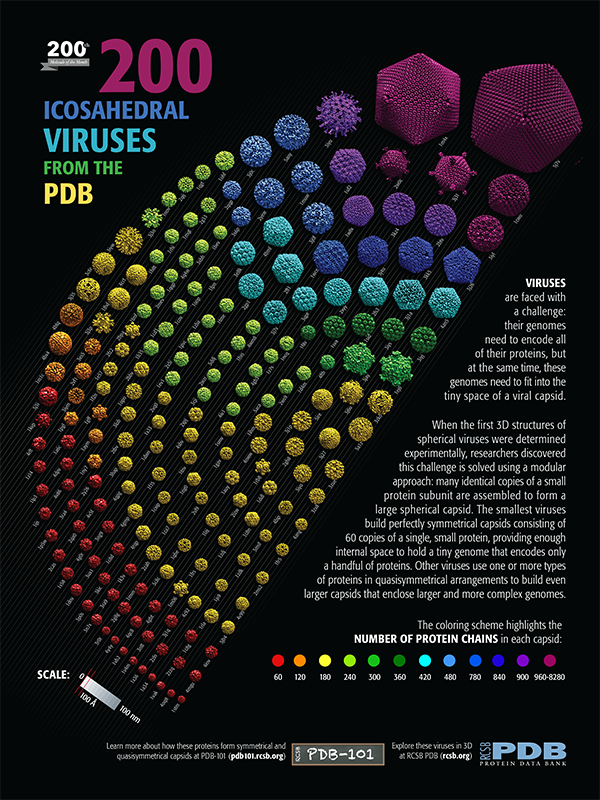 Other viruses use one or more types of proteins in quasisymmetrical arrangements to build even larger capsids that enclose larger and more complex genomes. 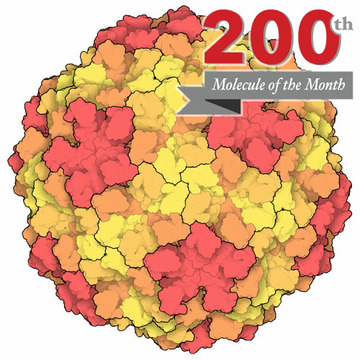 Other resources: Molecule of the Month on Quasisymmetry in Icosahedral Viruses and related paper model building activity.